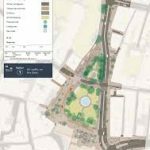 A new group has been set up for residents, businesses and other local organisations concerned about controversial plans for a congested area being pushed through by Brighton and Hove City Council. The Valley Gardens Forum describes itself as “a group of central Brighton residents, public sector organisations and businesses, large and small, sharing concerns about the council’s current plans for the city centre”. The group includes residents’ groups, the two main central doctors’ surgeries, the combined taxi trade, the Palace Pier, the Royal Albion Hotel, the North Laine Traders Association, the Seafront Traders Association, The Lanes Traders Group, the Spiegeltent, the organisers of all major outdoor events in the Valley Gardens area, Brighton’s two biggest English language colleges, several independent Brighton restaurants, pubs, music venues and others. Among the rest are members of the “knowledge intensive business sector” (KIBS) such as surveyors, solicitors, radio producers, graphic designers, record labels, estate agents, digital start ups and more. The Valley Gardens scheme was originally conceived as a way of enhancing access to the city centre with a shared ambition to improve the environment and enhance the local economy. The outline scheme was widely discussed and had been broadly accepted by the community, the forum said. But, it said, a more detailed “phase 3”, developed by consultants with council officers and presented three months ago, shatters that consensus. This involves changes to the Old Steine area, including the replacement of the Aquarium roundabout with traffic lights, including no exit from Madeira Drive. The forum said: “Nobody would argue that Brighton doesn’t have a problem with traffic congestion and resulting air and noise pollution. However, the council’s current plans would make this demonstrably worse. “In fact, it presents a deliberate policy of making it more difficult to visit a city dependent on its visitor and services economy. “There is no evidence in the current council-approved ‘business case’ that the big picture and the broadest range of impacts on the economy, local environment and people’s livelihoods have been considered at all. “At a time when local services are starved of resources and existing public infrastructure is not being adequately maintained, Brighton and Hove City Council also need to win the argument that £8 million of public money should be devoted to the scheme in the first place. “There’s a very real risk that by deliberately making driving into Brighton more problematic without providing a viable alternative, there’ll be fewer visitors to the centre and also fewer locals from outlying suburbs and beyond too. “Thirty six per cent of out of town visitors arrive in Brighton in a private vehicle – spending around £300 million (out of a total of £837 million) per annum. Over 21,000 local jobs are supported by the tourist economy. “Assuming a modest 5 per cent drop in visitor numbers as an unintended consequence of reducing vehicle numbers – that would result in a £15 million annual hit to the economy with job losses inevitable. “This statistic doesn’t even factor the likely transfer of jobs to neighbouring towns in Sussex as local residents in outlying districts of Brighton choose to drive and shop in Crawley, Eastbourne, Shoreham or even Bluewater in Dartford as opposed to our own city centre. “Beyond the question of access to homes, public sector and commercial premises, there’s the overarching issue of environmental and economic damage that the current scheme will cause if not revised. “Getting Valley Gardens right – relying a little less on computer models and a little more upon the wider community – will create a legacy to be proud of. “Getting it wrong could break the city, destroying thousands of people’s livelihoods. Yhe simple fact is that, as it is, the Steine is grim; which is why people avoid something that could be a large, welcoming space. The long-gestated plans will improve it. There are so often objections, such as we saw at Seven Dials, and then people like the result. Cast your mind back to people objecting to recycling boxes (introducued long after others had done so) – and, would believe, there were some who lynched their wheelie-bins in trees in protest at their arrival: strange fruit indeed. Perhaps even better still reintroduce the Bus terminus opposite Royal York Buildings and have less buses going up and down North Street and along western rd and have another terminus at palmeira sq and have shuttle buses running between the two. I have lived in Brighton all my life. When I have to go into the town centre, I am filled with dread! Even the thought, 9thof taking a hour on a trip that should take about 15 minutes, is horrible! And then I’m forced to buy a £5 Saver Ticket, even if I just want to go a few stops? If the buses were cheaper it would help? I read somewhere, that Brighton & Hove has the most expensive bus service in the whole of the UK? But for the council (and the Forum) to suggest there isn’t a congestion problem? I think the residents of Lewes Road, Old Shoreham Road/convergence with New England Hill, The Highway, Bear Road, Rottingdean, Queens Road/Surrey Street, Hollingdean Road/Upper Hollingdean Road, Ditchling Road, Vogue Gyratory will disagree with that? The Queens Road changes are appalling and have added to the congestion! There was no logical reason for sending all traffic up Surrey Street? Viaduct Road is one of the most polluted roads in Brighton. Hollingdean Road is another! Roads that used to be quiet side roads are now main roads: Such as Upper Lewes Road, Coombe Road, Hollingbury Road. Even the Dip in Hollingdean is getting busier as cars avoid the Speed Bumps and congestion of Upper Hollingdean Road! Most of these roads HAVE definitely got worse over the past decade! And these plans will make it much, much worse! If you screw around with a road layout, then it will have an knock on effect somewhere else! You only have to look at the long tail backs at Lewes Road/Coombe Terrace and Rottingdean, caused by nearly always empty bus lanes! If congestion wasn’t bad enough, if you’re (un)lucky enough to get into Brighton, then you’re hit with astronomical parking charges? Churchill Square simply isn’t worth the aggravation, expense, and noise of all the busses in Churchill Square! What a way to welcome visitors? The bus lanes might be a clear run for buses in most places, except the bus traffic jams in Churchill Square & North Street. But sooner or later, that bus will have to join the main traffic flow further along where it is not possible to put a bus lane. I’m sure there are people that applaud these new bus lanes? Tell that to the families of people that have been killed and injured at St Peters Church by buses (not cars), in bus lanes at York Place? Even before you get into Brighton, you’re greeted with the rubbish strewn highways of the A23 and A27? What a way to greet visitors? I’d sooner the council spend money on cleaning this embarrassment up than yet another unnecessary road change! I’d even prefer the council to fix our pot hole damaged Roads that you need a 4×4 to use! I rarely go into Brighton town centre! The beggars! The ever-growing charity shops! The high cost of parking! The high cost of buses, makes it not worth the aggravation! Burgess Hill, Crawley and Eastbourne is where I prefer going. My own shopping centre should be 15mins trip away! So I have to either stay in or go elsewhere! The road layouts of Brighton are insane! Look when the changed a simple crossroads at Bear Road/Lewes Road and Hollingdean Road? A simple straight line, that was then changed to a bend to accommodate the new Sainsburys, that created gridlock? And now they’re building hundreds of new student blocks around this area? And still they want to add to it with more gridlocked roads? I’ll go elsewhere more accepting and less aggravation! Old man yells at cloud! Getting rid of the aquarium roundabout is madness. As is the one way entry to Madeira Drive. Cars coming out of Pool Valley or East Street/Queens Hotel have to turn left. That means cars wanting to go to Hove will have to go via Kemptown. Madness. Whilst I agree not having a roundabout is madness (a larger one would be better) vehicles coming from Pool valley and east street could still turn left at the Royal Albion then right and right again and be back at the Palace Pier.